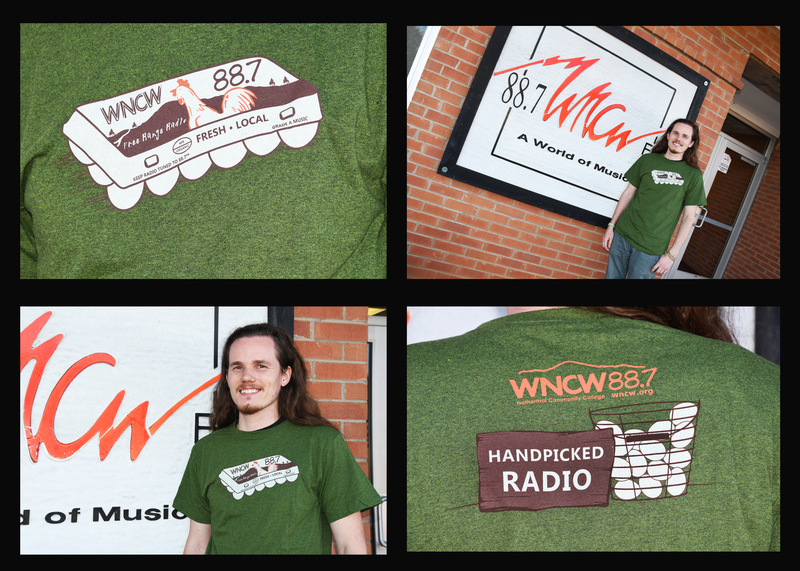 WNCW's latest station shirt is available in men's and ladies sizes. 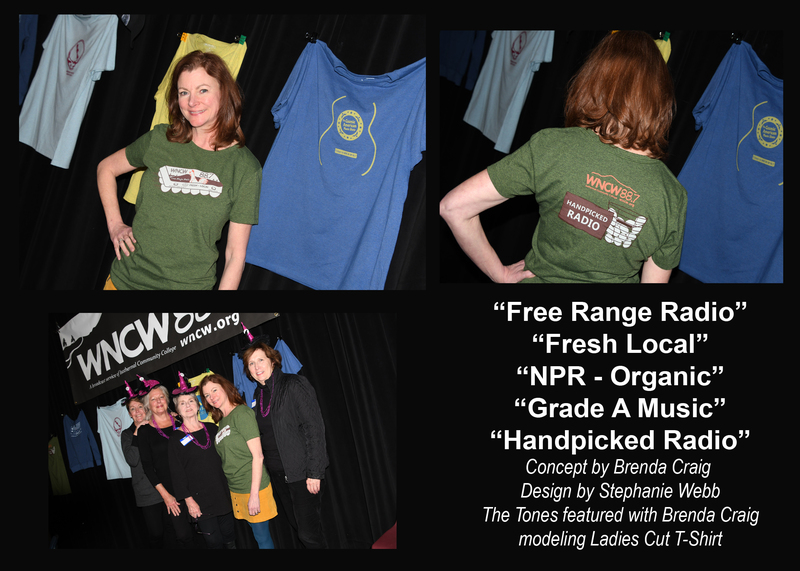 The shirts are printed on a green Recover Brand t-shirt with a WNCW "free range radio" egg carton on the front and on the back WNCW's logo is above a basket of eggs beside a sign that reads "Handpicked Radio". The graphic imprints are printed with a tan, brown and orange color scheme.